4157500 MPF05-1 KOMATSU MPF05-1 Reach truck. Spare parts catalog. Service Manual. 4157501 MPF05Y-3 KOMATSU MPF05Y-3 Reach truck. Spare parts catalog. Service Manual. 4157502 MPF07CDY-4 KOMATSU MPF07CDY-4 Reach truck. Spare parts catalog. Service Manual. 4157503 MPF07CFY-4 KOMATSU MPF07CFY-4 Reach truck. Spare parts catalog. Service Manual. 4157504 MPF09CY-3 KOMATSU MPF09CY-3 Reach truck. Spare parts catalog. Service Manual. 4157505 MPF09CDY-4 KOMATSU MPF09CDY-4 Reach truck. Spare parts catalog. Service Manual. 4157506 MPF09CFY-4 KOMATSU MPF09CFY-4 Reach truck. Spare parts catalog. Service Manual. 4157507 MPF10-1 KOMATSU MPF10-1 Reach truck. Spare parts catalog. Service Manual. 4157508 MPF10-2 KOMATSU MPF10-2 Reach truck. Spare parts catalog. Service Manual. 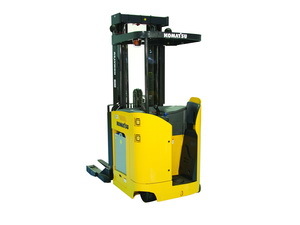 4157509 MPF10Y-3 KOMATSU MPF10Y-3 Reach truck. Spare parts catalog. Service Manual. 4157510 MPF10CDY-4 KOMATSU MPF10CDY-4 Reach truck. Spare parts catalog. Service Manual. 4157511 MPF10CFY-4 KOMATSU MPF10CFY-4 Reach truck. Spare parts catalog. Service Manual. 4157512 MPF10DY-4 KOMATSU MPF10DY-4 Reach truck. Spare parts catalog. Service Manual. 4157513 MPF10FY-4 KOMATSU MPF10FY-4 Reach truck. Spare parts catalog. Service Manual. 4157514 MPF13CY-3 KOMATSU MPF13CY-3 Reach truck. Spare parts catalog. Service Manual. 4157515 MPF15-1A KOMATSU MPF15-1A Reach truck. Spare parts catalog. Service Manual. 4157516 MPF15-2A KOMATSU MPF15-2A Reach truck. Spare parts catalog. Service Manual. 4157517 MPF15Y-3 KOMATSU MPF15Y-3 Reach truck. Spare parts catalog. Service Manual. 4157518 MPF15DY-4 KOMATSU MPF15DY-4 Reach truck. Spare parts catalog. Service Manual. 4157519 MPF15FY-4 KOMATSU MPF15FY-4 Reach truck. Spare parts catalog. Service Manual. 4157520 MRT10Y-5 KOMATSU MRT10Y-5 Reach truck. Spare parts catalog. Service Manual. 4157521 MRT10Y-6 KOMATSU MRT10Y-6 Reach truck. Spare parts catalog. Service Manual. 4157522 MRT12Y-5 KOMATSU MRT12Y-5 Reach truck. Spare parts catalog. Service Manual. 4157523 MRT12Y-6 KOMATSU MRT12Y-6 Reach truck. Spare parts catalog. Service Manual. 4157524 MRTL07-10 KOMATSU MRTL07-10 Reach truck. Spare parts catalog. Service Manual. 4157525 MRTL07Y-11 KOMATSU MRTL07Y-11 Reach truck. Spare parts catalog. Service Manual. 4157526 MRTL07Y-12 KOMATSU MRTL07Y-12 Reach truck. Spare parts catalog. Service Manual. 4157527 MRTL10-10 KOMATSU MRTL10-10 Reach truck. Spare parts catalog. Service Manual. 4157528 MRTL10Y-11 KOMATSU MRTL10Y-11 Reach truck. Spare parts catalog. Service Manual. 4157529 MRTL10Y-12 KOMATSU MRTL10Y-12 Reach truck. Spare parts catalog. Service Manual. 4157530 MRTL12Y-11 KOMATSU MRTL12Y-11 Reach truck. Spare parts catalog. Service Manual. 4157531 MRTL12Y-12 KOMATSU MRTL12Y-12 Reach truck. Spare parts catalog. Service Manual.